Just days after Ram unveiled its latest in heavy-duty trucks, GMC fired back with its own all-new truck. The 2020 GMC Sierra HD. And while it might not offer that nice round 1,000 lb-ft of torque of the Ram, it’s not exactly light on features that will appeal to anyone who tows or hauls with their big pickups. The reveal was a bit of a surprise, as stablemate Chevrolet had revealed more photos of their truck, but are saving the full reveal for later. GMC had only shown a quick snapshot of the grille, a few days before revealing it to the world. 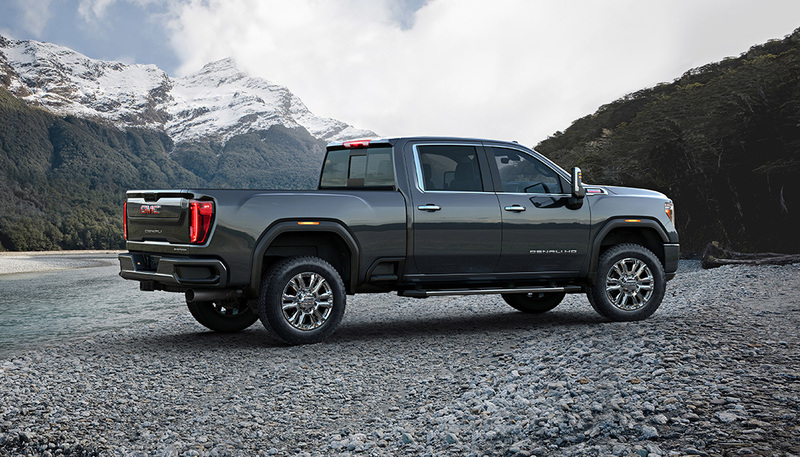 The 2020 Sierra HD carries over the 6.6L Duramax diesel from last year’s truck. 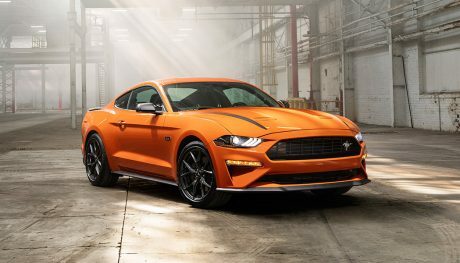 It offers 445 hp and 910 lb-ft of torque which is certainly nothing to be ashamed of. The new truck uses a new and improved air intake system to improve the cooling capacity and let it tow more for longer. Backing that diesel is a new 10-speed automatic. The first time that many gears have been offered in a heavy-duty pickup. 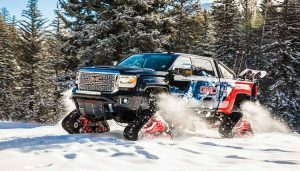 Expect GMC to offer up a gas engine as the standard choice, alongside that 10-speed and diesel, but they aren’t ready to tell us what it’ll be just yet. 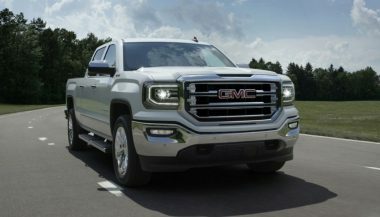 The 2020 GMC Sierra HD has a longer wheelbase than the outgoing truck. It’s got a taller hood and a higher roof as well. But GMC has lowered the bed height by an inch to make it easier to load things in and out. That bed gets class-leading volume and 12 tie-down points on top of a new available 120-volt power outlet. To help buyers get their cargo from the front of the bed, there are new steps located in front of the rear wheels to help boost you up. To help make towing easier, GMC has added up to 15 camera views. That lets you see in front of, beside, around, over, and even through your cargo. Yup, that’s right. See through a trailer. It uses an image that takes from the tailgate camera and an available accessory camera that attaches to the trailer. The computer stitches the pictures together and lets you see “through” the trailer. It should make reversing, parking, and going much easier. A new in Command system monitors trailer function through your smartphone. Like a smart-home system for your truck, it can let you turn on your trailer’s AC, check levels in your water and waste tanks, and even generator fuel level. If your trailer is properly equipped too, that is. 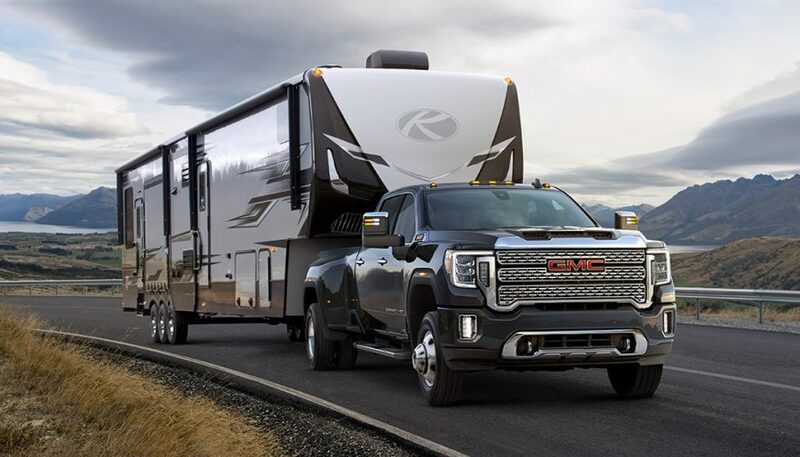 GMC’s ProGrade Trailering System uses an app to test trailer and truck lights, perform electrical checks, give you a departure checklist, and even track trailer mileage. Other hauling tech includes an automatic park brake when towing, grade hold assist, larger mirrors, and an integrated trailer brake controller that can remember your various trailers. The variable power steering can correct for trailer sway and even help fight against road crown while you’re driving. GMC showed off two trims at the launch, both big dollar ones. Buyers can expect the lower-grade trims to filter in as production ramps up. The two on display were the top-spec Denali and the AT4. 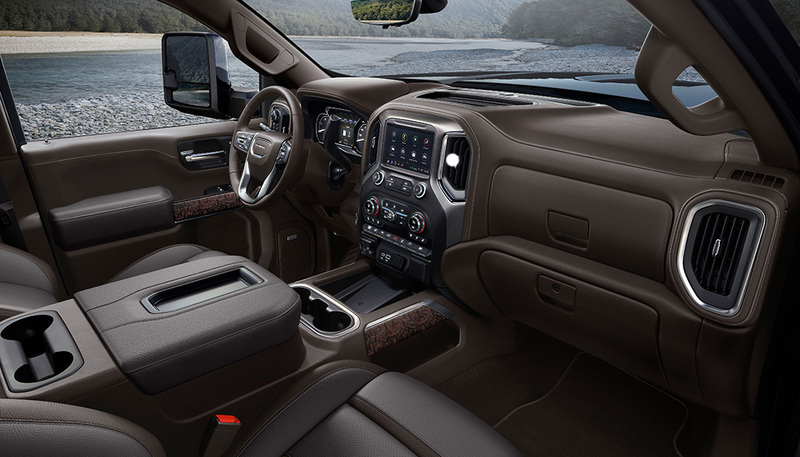 Denali is now synonymous with GMC luxury and comes with exclusive leathers, open-pore wood trim, and dark interior trim. The AT4 is newer, arriving on the Sierra 1500 last year. It offers Rancho shocks, skid plates, and a locking differential, but includes a high level of luxury features too. A Denali for people who like to get dirtier. 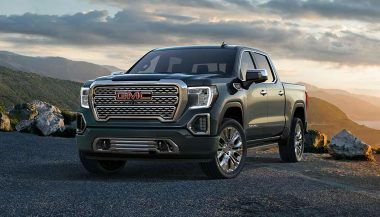 The 2020 GMC Sierra HD will go on sale later this year in 2500HD and 3500HD forms, with dual and single rear wheel options. With the 2017 GMC Sierra, you get a truck that's not ashamed to be a truck. Not to mention tons of features and finishes to choose from. 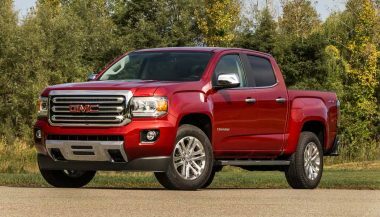 General Motors finally took the curtain off the all-new 2019 GMC Sierra pickup truck. Get your first glimpse and more info here. If you're looking for the best diesel truck, you'll need to consider horsepower, torque and towing capacity. And 2017 has a lot to choose from.